Alhaji Abubakar Tsav, retired Commissioner of Police has described as a betrayal of national security a recent story published by Daily Trust on military operation in Baga, Borno State. Tsav, who was also erstwhile Commissioner, Public Complaints Commission, Abuja joined other Nigerians to chide the newspaper for publishing such sensitive report, especially at a time when the nation was gradually winning the war against insurgency. The elder statesman in a statement personally signed on Thursday, warned Daily Trust against being misled by the retinue of international organizations that have been taking turns to berate the Nigerian Army for its reaction to its indiscretion. Tsav said, “I have resisted joining the fray since our esteemed newspaper, which we regard as championing the affairs of Nigerians, north of the Niger, Daily Trust published the now contentious story titled “Military prepares massive operation to retake Baga, others”. “But the continued berating and vilification of the military over its response to the story has made it impossible for me to remain indifferent. As someone whose entire career was in law enforcement and security, my initial reaction upon reading the story was to cringe at the implications of what I was reading. 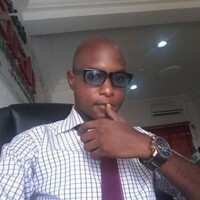 “If Daily Trust is allowed to get away with the story without acknowledging that it did something wrong and without a commitment to cease and desist from further compromising the operations of the military then the capacity of Nigeria to respond to and counter security threats is forever endangered. This is no time to allow political, ethnic or religious orientation to push Nigeria into committing certain suicide. “From the viewpoint of a policeman, it is like the newspaper running a story that police is about to raid the hideout of wanted criminals. The reputation of the newspaper would make the criminals treat the information with all the deserved seriousness and by the time the team of policemen arrive the hideout the wanted criminals would have escaped or worse still they could ambush the policemen with the likelihood that the casualty on the police side would be higher than would have been the case had the hardened criminals not been officially tipped off. “What happened in the case of the military, however, has far more grievous consequences for which certain parties should accept responsibility. This is especially so when a crucial opportunity to take down the terrorists, given the magnitude of the planned operation as reported by the Daily Trust and confirmed by the high command of the military, has been irretrievably lost. “Daily Trust should accept the responsibility for this glaring failing. It should have, in practice with the norms of journalism, crosscheck its story with the relevant military spokespersons, who would have advised on the sensitivity of running with the story when the planned attack has not been launched since the element of surprise would be lost. “Even where it does not have cordial interaction with the military, there was the option of consulting security experts before the story was published and it would have still been warned as to the dangers of prematurely revealing information that was that strategic. The international publications and news services that Daily Trust aspires to replicate follow this procedure where security of their nations is concerned. So, following this route would not have been an exception. “Daily Trust must not allowed itself to be misled by the retinue of international organizations that have been taking turns to berate the Nigerian Army for its reaction to its indiscretion. In reality, the criticism of the military by these organizations is condemnable, and should be so condemned by anyone that is interested in seeing Nigeria get rid of Boko Haram terrorists. “Equally condemnable is the news report that disclosed sensitive military operation. It is abhorrent and should be condemned in its totality. “It unacceptable that foreign agents and entities would persist in promoting neo-colonial agenda by rushing to criticize the Nigerian military for carrying out its duties while being sabotaged by a section of the media. No organization, for any reason, should sabotage national security which is paramount even in the course of a news organization performing its duty. We know that no newspaper will dare what Daily Trust did in other countries so the foreign merchants of tainted freedom of the press are free to go encourage such unacceptable behaviour in their country. “There is, however, no need crying over spilt milk. The task of ridding Nigeria of terrorists remains ahead of us all. The Nigerian Army and Daily Trust should move forward by heeding the admonition of Mr President to resolve the contention over the story through dialogue, which does not rule out the importance of ensuring that no organization or individual should again publish classified operational information about the military operations against Boko Haram.